The infamy of the massacre of Glencoe is not so much in the numbers killed, but in the way it was carried out. In 1691, King William the Third, recognising the resurgence of the Jacobite cause, ordered all the clan chiefs to sign an oath of allegiance by 1st January 1692. Maclain of Glencoe delayed signing the oath and when he arrived in Fort William he found he had to go to Inveraray. Difficult travelling and the absence of a sheriff meant that Maclain did not sign the oath until 6th January 1692. Maclain returned to Glencoe believing his signature was accepted. It was however decided to punish Maclain. Campbell of Glenlyon led a group of some 128 soldiers who stayed with the MacDonalds for some 12 days and then turned on their hosts in the early morning of 13th February, killing 38 of them whilst some tried to escape into the snowy hills. The infamy of the massacre is “murder under trust”, murder of those who had offered them hospitality. A monument to the fallen MacDonalds is situated in Glencoe village in Upper Carnoch. Maclain was buried on the island of Eilean Munda in Loch Leven opposite Ballachulish. It is generally believed that most of the men of the Earl of Argyll’s Regiment, who carried out the massacre of the Macdonalds of Glencoe on 13 February 1692, did not know what they had been sent to do until the last minute, after they had been staying with the Macdonalds for some time. However, various stories are told that indicate that some of the Argyll men did know, or had some suspicion, about what was going to happen, and tried to warn the Macdonalds about it. Even though many of them were Campbells whose lands had been raided by the Glencoe Macdonalds in 1689, they were still Highlanders, and the stories told suggest that they were horrified at what was planned and so tried to let the intended victims know. 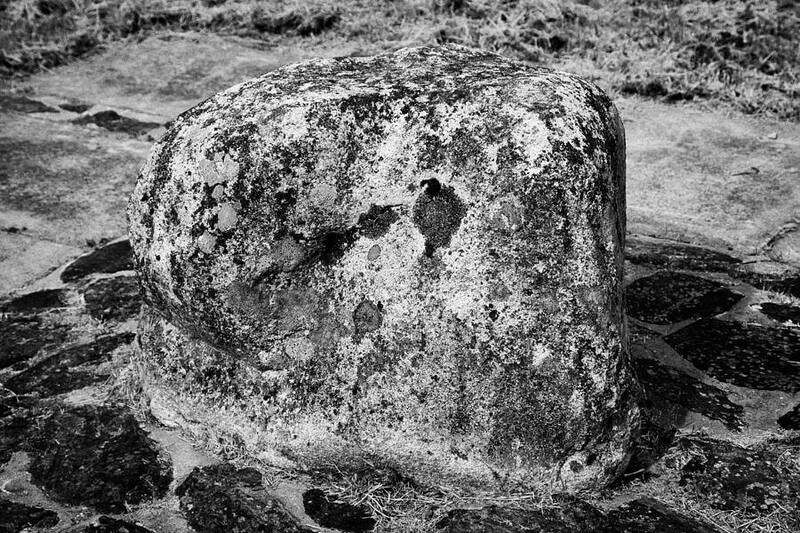 One story concerns the stone shown below, which stands at Glencoe, and is today known as the Henderson Stone, after the MacEanruig or Henderson clan that also lived in Glencoe, with the Macdonalds. The day before the massacre happened, one of these Hendersons was standing by the stone with an Argyll soldier, watching a game of shinty, when the soldier suddenly struck the stone and said, ‘Great stone of the glen, great is your right to be here! But if you knew what will happen this night you would be up and away’. Another story tells of a soldier billeted on a family of Macdonalds who, sitting with the family around the fire on the evening of the 12th of February, patted a dog on the floor and said to it, ‘grey dog, if I were you I would make my bed in the heather tonight’. The soldier then pretended to fall asleep, and the family, taking the warning, left the cottage and escaped to the hills, saving their lives. A third story has a Campbell soldier, again sitting with the family with whom he had been billeted, admiring his host’s plaid, and saying to him, ‘were this good plaid mine, I would put it on and go and look after my cattle, I would put it on my shoulders and I would take my family and my cattle to a safe place’. Again, it is said that the family took the hint and saved themselves. Hugh Mackenzie, piper to Captain Robert Campbell of Glenlyon, is also said to have tried to let the Glencoe people know what was about to happen; on the evening of the 12th, he stood on the Henderson Stone and played a lament called ‘Women of the Glen’ on his bagpipes, knowing that the Macdonalds could take this as a warning of something terrible about to happen. The authenticity of these stories cannot be known, but the number of them suggests that there is some truth in them. It is possible that, without being forewarned, many more Macdonalds might have been killed than the 38 who were slaughtered on the 13th. The Henderson Stone is below the massacre memorial but can only be accessed from the A82. At the first parking area on the left about 200m from the petrol station going South there is a small style leading across a field to the stone. 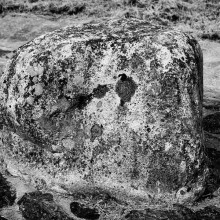 We are grateful to the Lochaber Archive Centre for their permission to use this article about the Henderson Stone.